The state of Hawaii is located in the middle of the North Pacific Ocean, about 3,200 kilomoeters from the coast of the Continental United States. Though Hawaii is part of the United States, it is a chain of islands located about 3,200 kilometers (2,000 miles) from the continental United States, out in the middle of the Pacific Ocean. Hawaii is the southernmost of the United States, and the Aleutian Islands of Alaska are the only part of the United States that extend farther west than Hawaii. 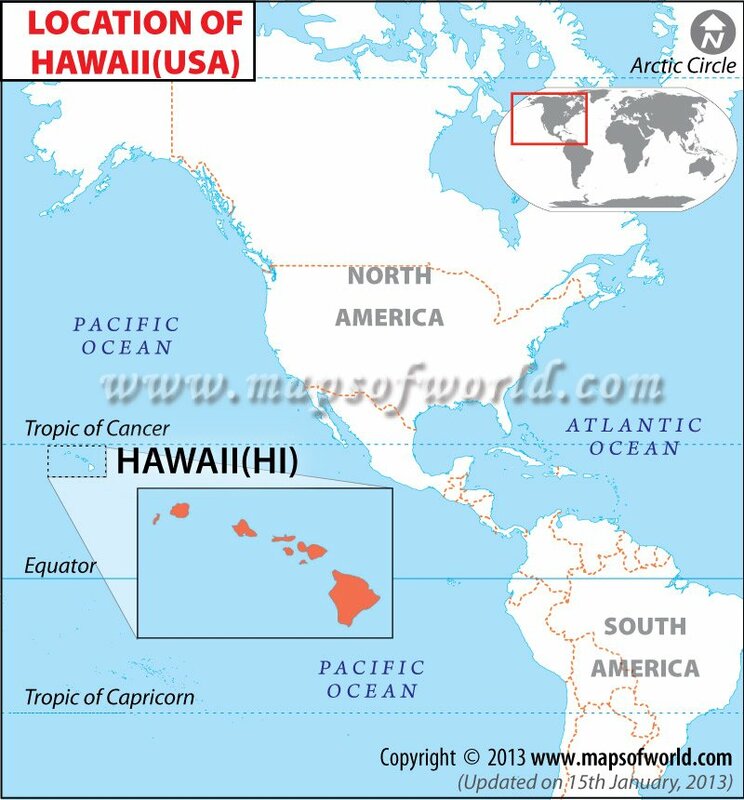 Hawaii's location also makes it the only state not located in North America. As an island state, Hawaii does not share any borders with other states or countries. Hawaii is made up of eight main islands: Hawaii, Maui, Oahu, Kahoolawe, Lanai, Molokai, Kauai, Niihau. Smaller islands are also part of the state, of which there are more than 100, include Ka'ala.